Commonwealth departments to trial Quantum Key Distribution. 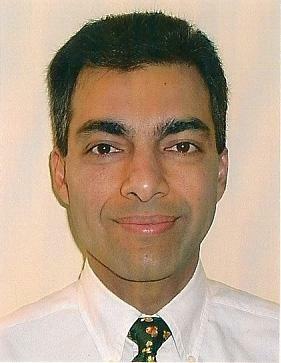 Vikram Sharma, co-creator of the QKD system. Australian governments may soon have the world's most secure data communication system if trials of a locally-developed quantum cryptography technology are successful. The system is built on Quantum Key Distribution (QKD), considered the world's most secure medium, which uses special lasers capable of detecting the slightest attempt to eavesdrop. It could remove the need for governments to use couriers to deliver one-time keys for sensitive information. Current encoding techniques represent a potential weak point in the secure transfer of information. The QKD system uses commonplace one-time keys, which are used to encode and decode data and which were proven infallible by American mathematician Claude Shannon some 60 years ago. The random key is encoded at the quantum level in the sidebeam in the phase and amplitude, or brightness and colour, of a highly tuned laser beam. Vikram Sharma, one of four co-creators of the system and founder of QuintessenceLabs said field trials with government agencies will start in the second half of this year. “The trials will be conducted over the optic fibre networks in Canberra with a consortium of government departments concerned with the transmission and communication of sensitive data,” Sharma said. “We expect the commercial production to happen towards the end of this year to early 2010. We have spoken with global system integrators that deal with secure communications and there has been a high level of interest,” he said. The QuintessenceLabs QKD system, considered the next step in quantum cryptography, removed problems with slow key generation and dropped the whopping price tag of almost US$100,000 that has dissuaded many governments and businesses from adopting other versions of the technology. It uses as much off-the-shelf and open standard networking technology as possible to keep cost lower and make it more robust than those offered by rival encryption companies MagiQ and idQuantique, which require specialised single photon sources and detectors. The technology was developed by a team of 24, including 11 with PhDs who were recruited from the Australian National University, where Sharma and his colleagues Ping Koy Lam, Thomas Symul and Andrew Lance designed the system. The scientists specialise in areas including quantum physics, cryptography, information theory and mathematics. The team received $1 million in seed funding from the Commonwealth by AusIndustry and some $1 million from a contingent of private investors. The network device fits on a 19in rack that will fit seamlessly into existing network infrastructure. Sharma, also a Stanford Sloan Fellow, said QKD's so-called “everlasting security” would thwart ensuing attempts to break conventional encryption as cracking tools improve. “Conventional cryptography is exposed to threats from advances in computing power that provide for brute force attacks, mathematical inverses to problems regarded today as intractable, and the advent of quantum computers,” Sharma said. “The 21st Century will see a number of advancements in quantum technologies which will improve our lives in much the same way that electricity and magnetism did in the previous century... we are likely to see more quantum technology work its way into a number of practical applications over the next few years,” he said.